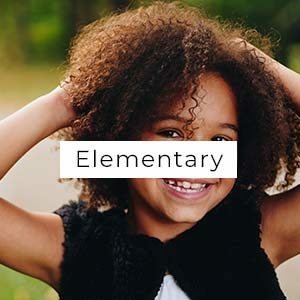 Kids can be active in volunteerism and acts of kindness. 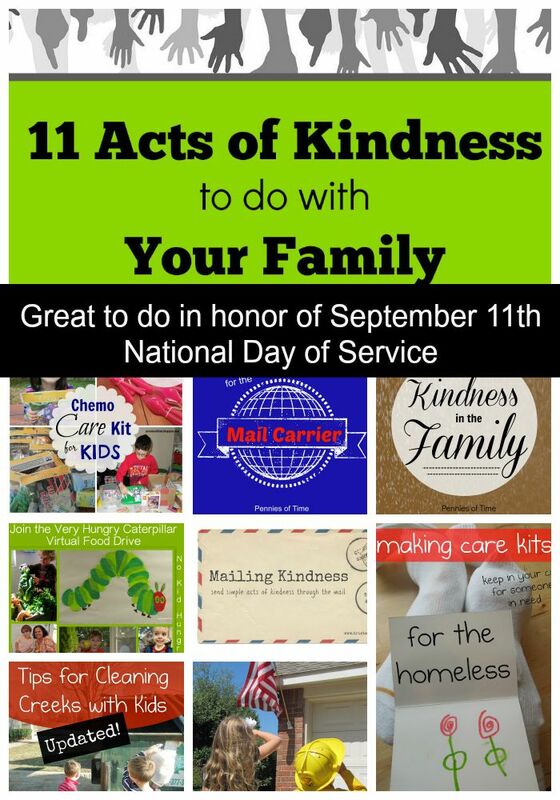 Here are 11 acts of kindness that you can do with your family in honor of the September National Day of Service. Right around the corner is September 11th. A day that is known for tragedy is also now the US National Day of Service. As a family, commit to doing acts of kindness in honor of National Service Day. 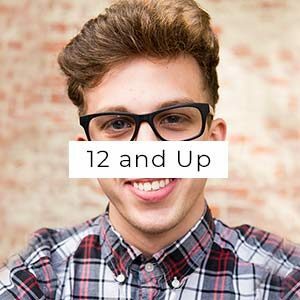 Here are 11 ideas to get you started. 1. Thank a hometown hero or a first responder, like the firemen, in your community. 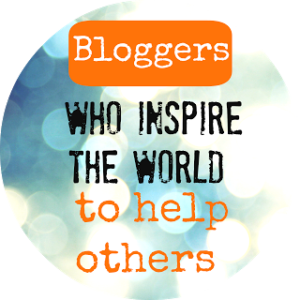 See how the family behind Let’s Do Some Good Today did it while sharing a meaningful moment. 2. 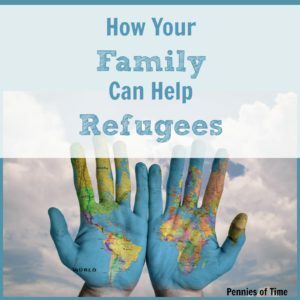 Do something nice for a family member. Helping in the home or being kind to family members is one of the best ways to start fostering kindness in your children. Our favorite is leaving love messages on mirrors for one another. 5. Know a friend or family member going through chemo treatment? 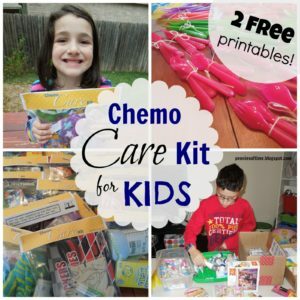 Make and donate chemo care kits in their honor. One of our most successfully repeated projects is making and donating Chemo Care Kits for Kids to local pediatric oncology units. 7. Write a note thanking your mail carrier. Our favorite part is when the mail carrier writes a note back! 8. Write a happy chalk message for a neighbor or friend that could use a cheerful message. 9. 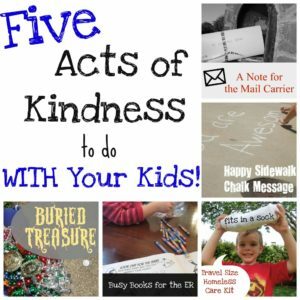 Mail out kindness with these recommendations from Trust Me, I’m a Mom. Have a conversation with your kids about why September 11th is important to us and why we have chosen to acts of kindness on this day. 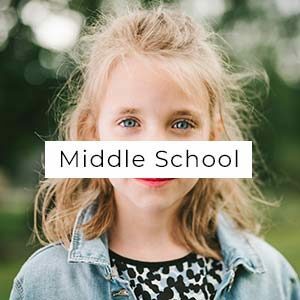 It is those quiet moments of reflection like Kimber shared on Let’s Do Some Good Today where we provide important context to our kids of what it means to be part of our community: What it means to be kind. What it means to be a valued member of society that responds with kindness instead of violence. 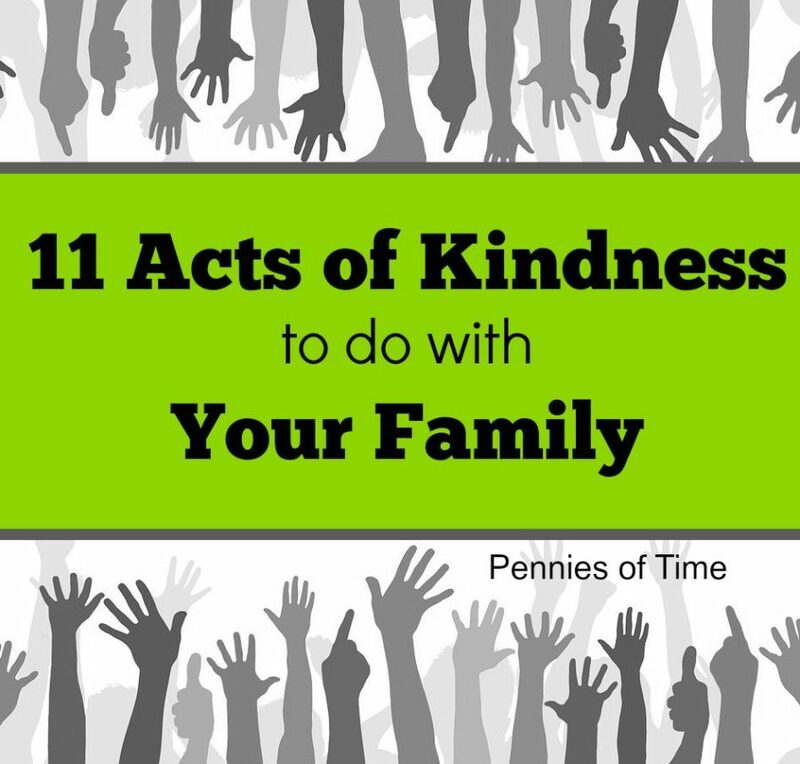 The 11 acts of kindness can easily be completed in your home. 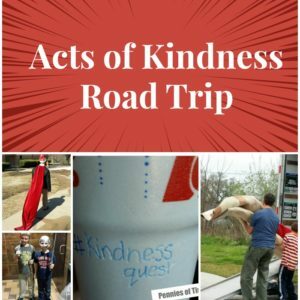 Most of these acts of kindness can be completed in 15 minutes. For those that take longer, we take 15 minutes a day to complete a part of an act of kindness. We don’t force the kindness. 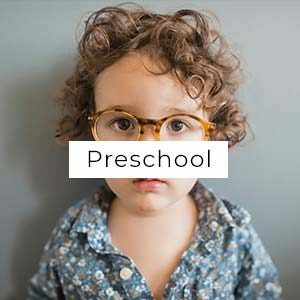 If kids are tired, we stop and pick it back up the next day. 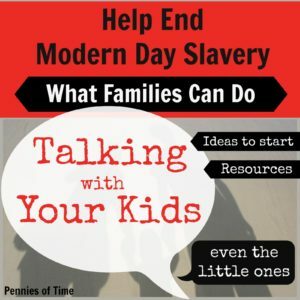 Take a few quiet moments after completing the act of kindness and talk about what your family did and why. 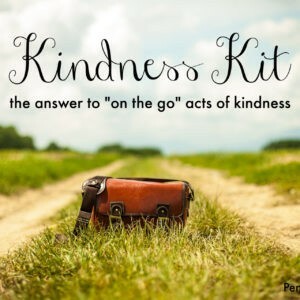 This will prevent the act of kindness from being a rushed “to do” item that is part of a check list. What are you doing with your family on National Day of Service?